Sometimes you just have to eat your green vegetables. And what a better way than with orzo and goat cheese!? I combined several great nutrient-packed veggies into this easy-to-make and delicious to boot pasta salad. 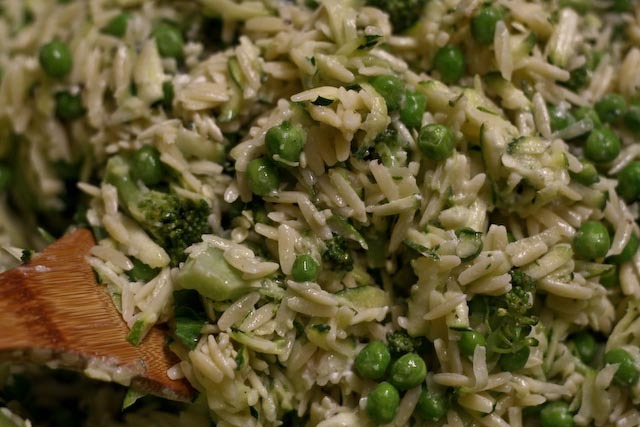 After draining the pasta, I tossed the orzo with olive oil while it was cooling. 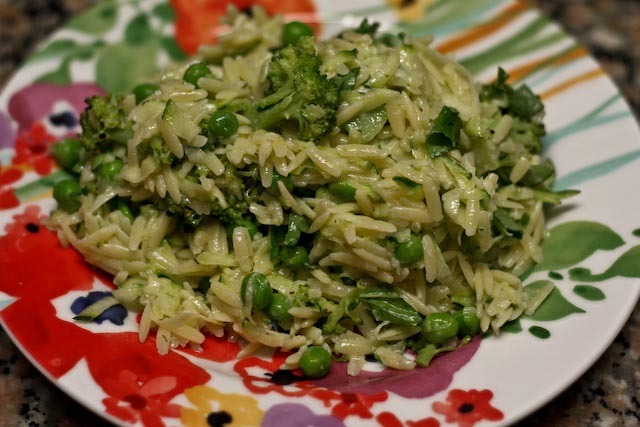 I don’t normally recommend doing this with pasta, but with orzo it’s almost always a must. Otherwise, you end up with a stuck together starchy mess. 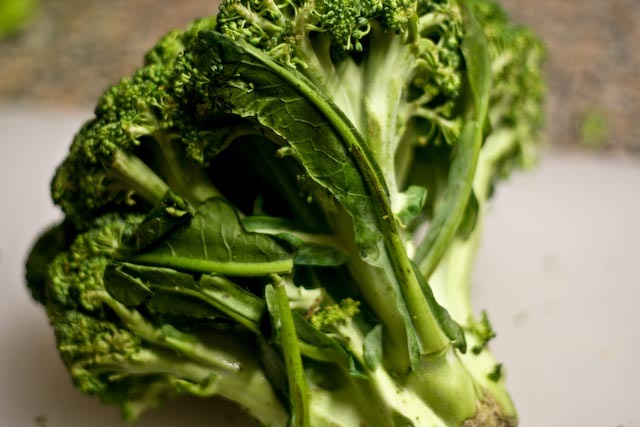 I steamed the broccoli beforehand ever so slightly. Just enough to cook the broccoli al dente. You don’t want to over cook it. Yuck. Seriously, don’t do it. You’ll regret it. Add peas, fresh basil, grated zucchini, goat cheese, olive oil, salt and pepper – and voila! A healthy and tasty spring or summertime pasta salad. Cook orzo according to package instructions. Drain pasta, toss with olive oil, and let cool slightly for a few minutes. 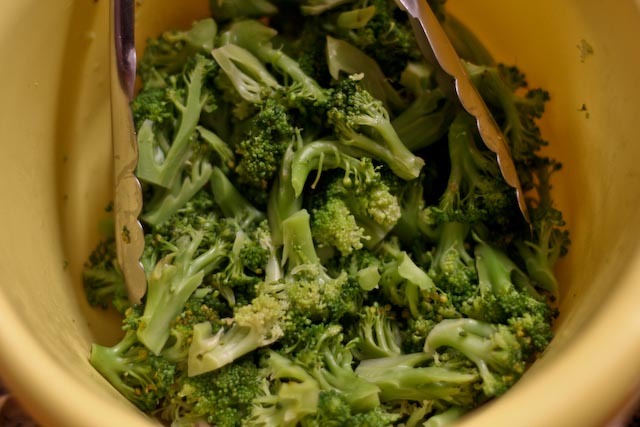 Meanwhile, steam the broccoli in a saucepan with 1″ of water for 5-7 minutes, or until just tender and still bright green. 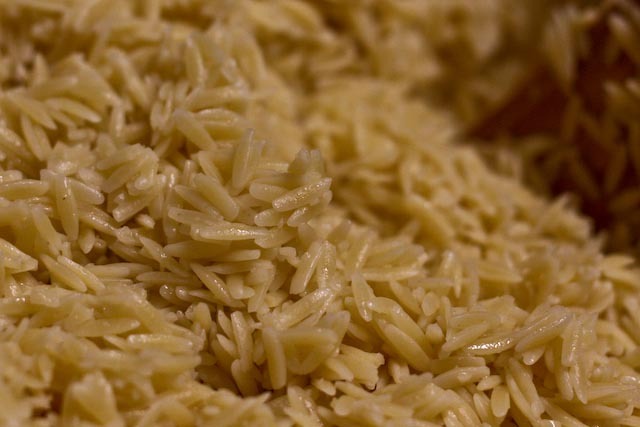 Add the warm orzo to a large mixing bowl and stir in the goat cheese so that it melts and coats the pasta. Add the peas, grated zucchini, broccoli florets, and basil. Drizzle liberally with about 1/4 cup olive oil and season well with salt and pepper. Serve cold or at room temperature.